Winks and nods to other creatives are often part of the style of writers, filmmakers, composers and artists of all kinds. Imagine Quentin Tarantino without his sly allusions to all his heroes! Somehow, he pulls it off without being too crazily pretentious as his stories are solid and characters interesting. 'Law and Order' features one that has always mystified me - the character 'Detective Munch' who may or may not be based on one of the world's earliest TV detectives, originally played by that stellar Australian actor, the late Bud Tingwell. It was, in that case, Al Munch and the original series was shot on film, in Australia for USA release only, never seen locally. I wonder whether Munch was a salute to Bud? Australian director, Mark Savage (a B-movie, schlock genre director who has fans all around the world) sprinkles his movies with allusions which reflect his interests. Do they advance the plot? You will have to make up your own mind on this. Because I am not a fan of winks and nods in any field as sometimes they are clear short-cuts to story-line and setting the scene and seem inserted lazily rather than intelligently. Names of characters can be pillaged from classics (witness the number of times vampire stories recycle the classic names). 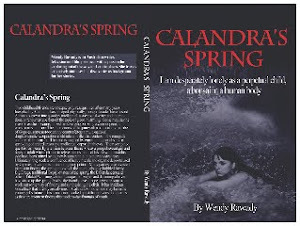 In my book, 'Calandra's Spring', the girl is Calandra D'Arcy not just because she is a feisty, proud girl, but to reflect her cosmopolitan yet Anglo background and the romantic quality that her mother overlaid onto her when she was named. I thought long and hard about this as I didn't want people to read the name and assume she was a girl version of the 'Pride' part of Jane Austen's book. Ultimately, I just liked the ring of the name and it did take on a life of its own.